Submit and Vote for the 2019 Rock Girls! It is time for the 2019 Eagle Rock Girls calendar search! Submit your entry to be a 2019 Eagle Rock Girl. Vote for who you think should be on the 2019 Eagle Rock Girls calendar! You will have to create an account to cast your vote and you can vote 50 times per day. The models with the most votes will be selected for an in-person interview with 96.9 The Eagle judges. The 2019 Rock Girls will be selected by a combination of online scores, in-person interviews, social media presence, and availability. For a complete list of rules click here. The 2019 Eagle Rock Girls calendar will be free and will come out in March of 2019. Unless otherwise specified in connection with particular offerings, participation in the Service is open only to natural persons who are 13 years of age or older. Employees or agents of KKGL-FM, Triton Loyalty, and each of their respective affiliates, and immediate family members of or persons domiciled with any such persons are not eligible to participate. In consideration of your use of the Service, you agree to provide true, accurate, current and complete information about yourself as prompted by the registration form and to maintain and promptly update your personal data to keep it true, accurate, current and complete. If you provide any information that is untrue, inaccurate, not current or incomplete, or if we or any of our service providers have reasonable grounds to suspect that such information is untrue, inaccurate, not current or incomplete, we have the right to suspend or terminate your account and to refuse any and all current or future use of the Service (or any portion thereof) by you. You may not register with a disposable email address. Only one member account per person and two member accounts per household. If you are 13 years of age or under you cannot post information about yourself on the website or complete the registration process. You can, among other things, review your accumulated Points, review the Terms and Conditions as amended from time to time, and review redemption options at 96-9theeagle.listenernetwork.com . A complete copy of these rules can be obtained at the offices of radio station KKGL (“Station”),owned and operated by Cumulus Broadcasting LLC, or one of its subsidiary companies, 1419 W Bannock, Boise ID 83702, during normal business hours Monday through Friday or by sending a self-addressed, stamped envelope to the above address. Eligibility. This Contest is open only to legal Idaho and Oregon residents, age 21 or older at the time of entry with a valid Social Security number and who reside in the Station’s Designated Market Area (“DMA”) as defined by Nielsen Audio.Void where prohibited by law. Employees of Cumulus Media Holdings Inc., its parent company, affiliates, related entities and subsidiaries, promotional sponsors, prize providers, advertising agencies, other radio stations serving the Station’s DMA, and the immediate family members and household members of all such employees are not eligible to participate. The term “immediate family members” includes spouses, parents and step-parents, siblings and step-siblings, and children and stepchildren. The term “household members” refers to people who share the same residence at least three (3) months out of the year. The Contest is subject to all applicable federal, state and local laws and regulations. Participation constitutes entrant’s full and unconditional agreement to these Official Rules and Station’s decisions, which are final and binding in all matters related to the Contest. Winning a prize is contingent upon fulfilling all requirements set forth herein. 2.Contest Period. The Contest will begin at 12:01am MST on November 5, 2018 and will run through 11:59pm MST on December 31, 2018 (the “Contest Period”). The period to submit an entry form will commence on 12:01a.m. MST on November 5, 2018 and continue through 11:59pm MST on December 9, 2018 (the “Entry Period”). The Station’s computer is the official time keeping device for this Contest. How to Enter. Visit the Station’s website www.KKGL.com during the Entry Period, click on the “Rock Girl Calendar Search” Contest link, and complete an entry form (“Entry Form”) that includes full legal name, birth date, residence address, email address, phone number, two (2) recent color photographs of the entrant, a short biography about the entrant, and an explanation as to why the entrant desires to be features in the Rock Girl Calendar. All Entry Forms must be received by 11:59p.m. 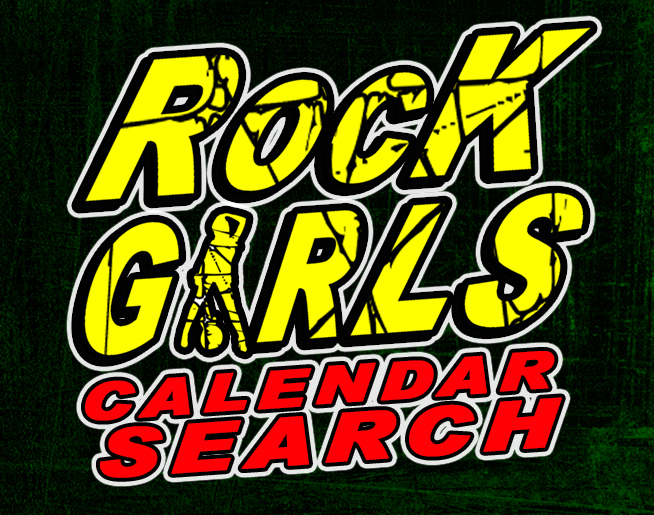 MST on December 9, 2018 to be eligible to qualify to participate in the Rock Girl Calendar Search. Limit one (1) entry per person per email address during the Entry Period. Multiple participants are not permitted to share the same email address. Any attempt by any participant to submit more than one (1) entry by using multiple/different email addresses, identities, registrations and logins, or any other methods will void that entry and the participant may be disqualified. Use of any automated system to participate is prohibited and will result in disqualification. Station is not responsible for lost, late, incomplete, invalid, unintelligible, inappropriate or misdirected entries, all of which will be disqualified. In the event of a dispute as to any registration, the authorized account holder of the email address used to register will be deemed to be the participant. The “authorized account holder” is the natural person assigned the telephone number by the wireless carrier or an email address by an Internet access provider, online service provider or other organization responsible for assigning email addresses for the domain associated with the submitted address. Potential winner may be required to show proof of being the authorized account holder. All entries become the sole and exclusive property of Station and will not be returned. Station reserves the right to contact entrants and all other individuals whose email address is submitted as part of this promotion. No mail-in entries will be accepted. Entry photos that are indecent, lewd, offensive, defamatory, contain profanities, or are in any way in bad taste or contain material(s) which may infringe upon any person or entities proprietary rights, as determined in the sole discretion of the Station, will be disqualified. By entering the Contest, each participant hereby consents to the Station’s use of her name, voice, likeness, and biographical information for on-air broadcast and for advertising and promotional purposes without payment or additional consideration. All participants further agree that the Station owns or will own exclusively any recordings, video, or photographs of such participants, including the copyrights in them, regardless of the form in which they have been or may be produced and used, and all participants assign all such ownership rights to the Station. Station shall have the right to copy, edit, broadcast, publish and use, in whole or in part, any materials featuring participants, in any manner without compensation. 3.Qualifier Selection and Notification. On or about Monday, December 10, 2018, the Station will review all of the eligible entries received by the Station during the Entry Period and select up to thirty (30) entrants as qualifiers (each a “Qualifier”). Station will select Qualifiers in its sole and exclusive discretion based on how closely entrants fit the look, attitude, and character that the Station seeks for its promotional calendar and events. Station’s decisions regarding the selection of Qualifiers is final and binding and not subject to challenge. All Qualifiers will be notified by Tuesday, December 11, 2018 using the contact information provided on their Entry Form and invited to interview to be featured in the Rock Girl Calendar. Qualifiers will be required to schedule and attend one (1) interview to continue their participation; failure to schedule and/or attend the interview will result in immediate disqualification. Qualifiers who do not timely respond to the Station’s communications, fail to comply with these rules and/or inform the Station that they no longer wish to participate will be disqualified from further participation in this Contest. In such an event, the Station reserves the right to select replacement Qualifiers from all the valid entries received by the Station during the Entry Period. By agreeing to be interviewed, Qualifiersagree to submit to a criminal background check. Qualifiers understand and agree that they will not have any conflicting obligations, contractual or otherwise, that would interfere with their obligations to the Station if selected to serve as a Rock Girl. In the event of such a conflicting obligations, Qualifiers may be disqualified from further participation in the Contest and/or removed from further participation as a Rock Girl. 4.Qualifier Interviews. Qualifier interviews will take place at the Station, 1419 W. Bannock Drive, Boise ID 83702, between December 11 to December 28, 2018 on dates and times scheduled with the Station. Qualifiers should attend the interview appropriately dressed and prepared to discuss their biography, interests, and desire to be featured in the Rock Girl Calendar. Additional photos will be taken at the interview that will posted on the Station’s website. During the interview, Qualifiers will be evaluated and assigned a scored by a panel of Station representatives based on their physical appearance, personality, professionalism, and speaking ability. All scores are determined by the Station representatives in their sole and exclusive discretion, and the Station’s decisions regarding the interviews, evaluations and scoring are final and binding and not subject to challenge. 5.Selection of Rock Girls. On or about December 31, 2018, the Station will select the twelve (12) Qualifiers with the highest scores as candidates to be featured in the Rock Girl Calendar, along with thethree (3) Qualifiers who have the next highest scores as alternate candidates. Alternates may (but are not guaranteed to) appear in the Rock Calendar as determined by the Station in its sole and exclusive discretion. In the event of a tie, the Station will reevaluate and rescore the Qualifiers with matching scores to rank those Qualifiers amongst one another and select the Qualifier(s) with the highest score(s) from this process. Candidates for the Rock Girl Calendar, including alternates, are subject to verification of eligibility and compliance with the terms of these rules. No transfer or assignment of opportunity may be allowed. Station’s decisions as to the administration and operation of the Contest and the selection of the Rock Girls, including alternates, are final and binding in all matters related to the Contest. 6.Verification of Winners. POTENTIAL WINNERS ARE SUBJECT TO VERIFICATION BY STATION WHOSE DECISIONS ARE FINAL AND BINDING IN ALL MATTERS RELATED TO THE CONTEST. The potential winners must continue to comply with all terms and conditions of these Official Rules, and winning is contingent upon fulfilling all requirements. The potential winners will be required to sign and return to Station, within three (3) days of the date notice is sent, an affidavit of eligibility and a liability/publicity release (except where prohibited) in order to claim his/her prize, if applicable. A potential winners who returns the affidavit of eligibility and liability/publicity release will be deemed to have accepted the Contest Prize and thereafter will not be permitted to rescind their acceptance of the prize and/or return the prize. If a potential winner cannot be contacted, fails to sign and return the affidavit of eligibility and/or the liability/publicity release within the required time period (if applicable), or if the prize or prize notification is returned as undeliverable, potential winner forfeits prize. In the event that the potential winner is disqualified for any reason, Station may award the applicable prize to an alternate or the Qualifier with the next highest score. 7.Rock Girl Benefits and Obligations. Each Rock Girl will be professionally photographed at the Station’s expense and featured in the Station’s 2019 Rock Girl Calendar. PHOTOSHOOT WILL TAKE PLACE PRIOR TO February 28, 2019.Rock Girls will also be offered the opportunity to serve as a Rock Girl representative of the Station as a part-time employees under a formal agreement that will outline the obligations owed to the Station by virtue of being a Rock Girl. The Station shall have the absolute right, without incurring any liability to a Rock Girl, to terminate the contract if the Rock Girl does not cooperate with the Station in making the requested appearances or otherwise violates the spirit of the contract. If the Station terminates the contract because the Rock Girl fails to cooperate in making promotional appearances, the Rock Girl will have no right to receive any payment of any kind after the date the contract is terminated, and the Station will have no obligation to make a payment to the Rock Girl after that date. All Rock Girls must be available to participate in Station activities as required and assigned by the Station’s Programming and Promotions Departments, and be willing to travel around the Treasure Valley area and to other destinations, including during non-traditional work hours, nights and weekends. Rock Girls must be willing to appear at different venues and types of promotions including but not limited to concerts, bars, nightclubs, retail locations and more. Rock Girls must agree to dress in appropriate apparel and attire for Station events and promotions. Rock Girls will not be guaranteed a minimum number of appearances or hours during the term of their agreement, and Rock Girl appearances will be booked throughout the year as the promotional calendar allows. Rock Girls at each assigned appearance will be paid a talent fee as determined by the Station for their time and effort. 8.Entry Conditions and Release. By entering, each participant agrees to: (a) comply with and be bound by these Official Rules and the decisions of the Station, which are binding and final in all matters relating to this Contest; (b) release and hold harmless Station, Cumulus Media Inc., and its subsidiaries, related and affiliated companies, participating sponsors, the prize suppliers and any other organizations responsible for sponsoring, fulfilling, administering, advertising or promoting the Contest, and each of their respective past and present officers, directors, employees, agents and representatives (collectively, the “Released Parties”) from and against any and all claims, expenses, and liability, including but not limited to negligence and damages of any kind to persons and property, including but not limited to invasion of privacy (under appropriation, intrusion, public disclosure of private facts, false light in the public eye or other legal theory), defamation, slander, libel, violation of right of publicity, infringement of trademark, copyright or other intellectual property rights, property damage, or death or personal injury arising out of or relating to a participant’s entry, creation of an entry or submission of an entry, participation in the Contest, acceptance or use or misuse of prize (including any travel or activity related thereto) and/or the broadcast, exploitation or use of entry; and (c) indemnify, defend and hold harmless the Released Parties from and against any and all claims, expenses, and liabilities (including reasonable attorneys’ fees) arising out of or relating to an entrant's participation in the Contest and/or entrant’s acceptance, use, non-use or misuse of the prize. 9.Publicity. Except where prohibited, participation in the Contest constitutes winner’s consent to use by the Station and its agent of winner’s name, likeness, photograph, voice, opinions and/or biographical information (including hometown and state) for promotional purposes in any media, worldwide, without further payment or consideration, unless otherwise prohibited by law. 10.Taxes. All State, Local, Federal and/or other taxes, duties, tariffs, title fees, licensing fees, or other fees for prizes awarded become the sole responsibility of the winner. All those who win a prize or prizes valued $600 or more in any given year will be issued an IRS Form 1099 to report their winnings. 15.Contest Results.A winners list may be obtained after January 6, 2019 by sending a self-addressed stamped envelope to the Contest Sponsor identified below. CONTEST SPONSOR: CUMULUS BROADCASTING LLC, KKGL-FM, 1419 W. Bannock Street, Boise, ID 83702.